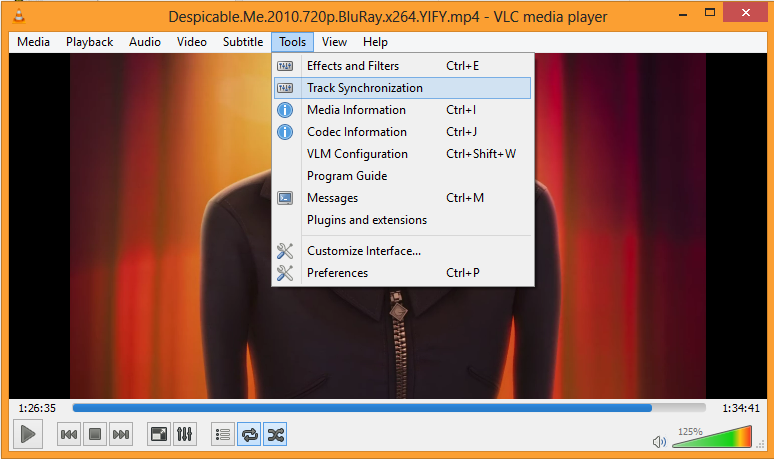 Some times the sound or the subtitles on our videos just aren't properly synced with the video , basically they're either too early or too late , this takes away the entire fun from watching the Movie or the TV episode that we've waited for such a long time to watch..
Thankfully, there's an easy fix if you're using VLC media player(other players might have the feature as well) , we've already spoken about how we can download Subtitles easily using VLC media player , so let's see how we can fix the track sync as well . 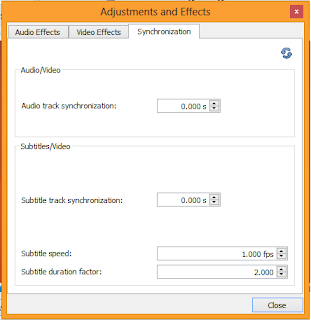 Keep a close eye at the video to properly sync the track with the video,you may have to wait a moment after you alter the value, to see the result in the playback window. 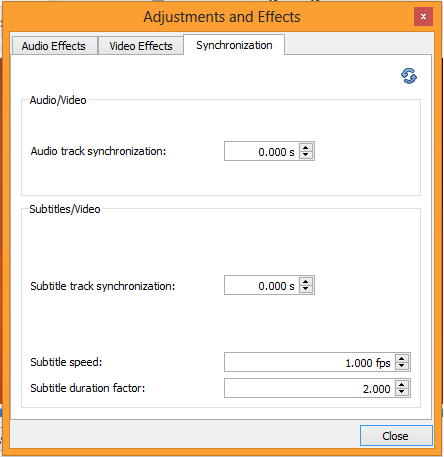 if the subtitles are not staying on the screen long enough or are staying on too long , you can try playing around with the subtitle speed and duration factor to find the correct values and don't worry , should you mess up , you can always click the reset button in the upper right of the synchronization tab (the two blue arrows), to reset the tracks.